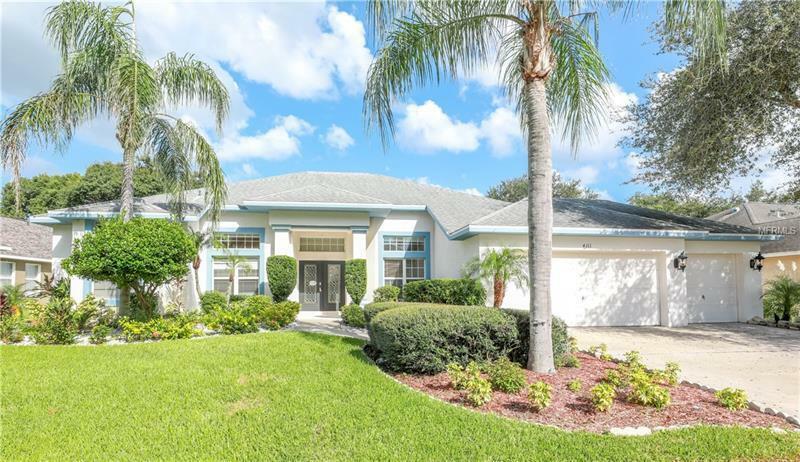 Beautiful 4 bedroom, 3 bath home on gorgeous landscaped lot. New interior paint! Elegant double door entry opens to dining room, living room, and den. Spacious family room features vaulted ceilings, and stunning fireplace. Well equipped eat in kitchen showcases, granite counter tops, stainless steel appliances, pantry, center island, and breakfast bar. Roomy master bedroom includes exit to patio, wood laminate floors, and en-suite bathroom with dual sinks, soaking tub, and shower. Covered patio overlooks screened in sparkling pool and fenced private backyard.